In fact, how to teach this to staff who work in Aged Care, including staff who come from differing nationalities and may have been traumatized themselves in their own countries of origin? How to teach and train them so that they are able to work in Aged Care with our survivors in the most compassionate way possible? In an effort to address these challenging questions, we developed The Holocaust Awareness Training program. This article will focus on the background of this endeavor and how it was implemented. Australia is home to approximately 112,000 Jews living mostly in the largest cities, Sydney and Melbourne. Approximately 84% were born overseas and many are elderly, including our Holocaust survivors, many of whom suffer from Late Onset Post Traumatic Stress. In 2002, with my mother suffering from Alzheimer’s and Multi-Infarct Dementia, I needed to place my mother in an aged care facility with a Dementia specific unit. I chose the Sir Moses Montefiore Jewish Home in Sydney. It is the largest Jewish specific nursing home in the Southern Hemisphere and was established in 1889. The Home has 3 Jewish specific campuses with approximately 640 residents and 334 nursing home beds, including Dementia specific beds. Approximately 35-40% of our residents are survivors. We have approximately 1,200 staff members. We have a Home Care Section. The staff is comprised of 45 nationalities, including those from Africa, South Africa, Asia, Israel, China, Sri Lanka, Nepal, Pacific Islands, South America, New Zealand, Europe (Russian, Polish, Czech), and Australian backgrounds, to name a few. As I began my journey in the Home with my mother, I began to wonder about the interplay of traumatized residents and traumatized staff. How did that work on a daily basis? Some of our staff had experienced trauma themselves. I observed how difficult it was for all staff to manage the survivors at times and especially in the “sun-downing” hours. These late afternoon hours can be very confusing and disorienting. They had no frame of reference for the fears, levels of anxiety, depressive symptoms and paranoia that would “as if” appear. As my mother lost more of her mind, I began to use more of mine. I reflected on her traumatic memories, her sundowning, attempts to escape, and how this impacted on the staff, and I asked myself, what tools did staff have to cope with this? I reflected on how to acquaint the staff with what it means to be a survivor, a child of survivors, to watch one’s parent age and what it means as a child of a survivor to even place one’s parent in a nursing home and say, “I can no longer take care of you and protect you from more pain and loss.” To feel that staff are involved and caring is crucial to survivors and their children. And how to cope when listening to the unbearable? So how to train all staff to listen well? How to provide, as D. W. Winnicott (1960) wrote, a “holding environment,” a “good enough” mother to manage “affect storms” (Krystal 1978) of survivors, who have lived a “death in life” (J. Lifton). So as you can see, happiness may not be primary, but minimizing difficult emotional responses and providing safety, can. It’s the joke about Jewish Alzheimer’s which describes the landscape. “What is the definition of Jewish Alzheimer’s? Is there always a remainder of suffering, on the landscape for the Alzheimer’s sufferer? In conjunction with the Director of Professional Services of the Home, Janine Grossman, I wrote a program to address these issues, which to date had not been addressed. Sounds of others calling out or crying are just some examples. Revulsion Dogs were used as guard dogs and attack dogs in rounding up Jews, imprisoning and intimidating them. Dogs were often used to locate hidden Jews. Nazi pets were generally given more and better quality food than inmates. Be cautious about pet visitations for Survivors in units. Avoid large or noisy animals, but be aware that people may also benefit from spending time with an animal. Always check with the Resident and/or the Registered Nurse first. In our Home, every resident has their own room and bathroom , thus eliminating the repetition of past crowded, shared conditions or lack of privacy. Outside every room, there is a Memory Box, also from the Baycrest model. Residents display valued artifacts or photographs of their families. No one is a number, but, rather, everyone has an individual identity. All new staff, in their Induction Training to the Home, are informed about the history of the Holocaust and the presence of survivors of this atrocity in the Home. For some staff, this is their first introduction to the Holocaust. To educate them further, The Holocaust Awareness Training Program is held at the Sydney Jewish Museum once a month. Initially, the Program began as a ½ day event, requiring staff to attend the Museum training, then return to work at the home for the afternoon. It became clear that the staff found the Museum experience too confronting to return to work that day. Fully supported by our Board, CEO and leadership team, the Program is now a full-day training Program and mandatory for all staff. A handbook for each participant accompanies the Program. Within the Home, this training serves as the underpinning of resident care plans and behavioral management. This training program also utilizes a multi-disciplinary team. Case Managers encourage workplace case discussions, informing staff on how best to deal with residents’ challenging behaviors. 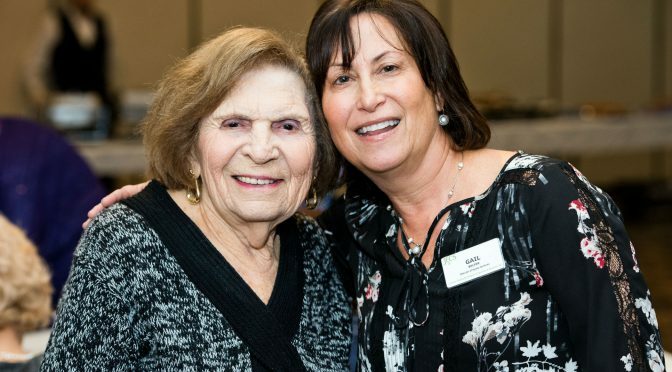 Staff are encouraged to read residents’ social histories in order to learn who of their residents is a survivor, how they survived the Holocaust (as this may affect their behavior) and what may facilitate their care. The Program aims to help staff put words to ongoing repetitions of survivor trauma seen in their behaviors and to the fact that trauma does not heal. Quality of Life and Optimal Health are key concepts. After staff induction and within 3-6 months of beginning work with us, staff attend the day at the Sydney Jewish Museum. No more than13 staff attend each training. The day begins with a form so we can assess levels of Holocaust knowledge and know how to gear the day. At this point, the group meets their Survivor Guide, who is a volunteer from the Museum. The Survivor speaks their story of survival to the staff. Often, this is very emotional for staff. Our Sydney Jewish Museum is renowned for the number of survivors actively speaking their story of survival. When we speak we have the chance to symbolize what previously could not be spoken. The Montefiore staff is encouraged to speak and ask questions. I find it is very important for staff to hear a survivor’s story from beginning to end, as most have only heard fragments of stories from their residents, due to the demands of nursing tasks on the floor. By experiencing the survivor guide, staff get a sense of who our survivors were before they entered our Home. They had led these amazing lives and had been called upon by their life experiences to live the impossible. These guides may be the Home’s next residents, so they are invested in educating our staff. After listening to their survivor’s history, the staff are taken into the Museum to be guided through the history of the rise of anti-Semitism in Europe, as well as the years of the Holocaust, liberation and following migration. The Museum has recently been enhanced with state of the art displays and exhibits of and from the Holocaust. During this time, I notice not only are the staff often engrossed by the Museum and the story of survival, they are also exhausted and sometimes overwhelmed. The next session is a debriefing with me. This session is the staff’s chance to share their experiences of the morning, speak of their experiences of working with the survivors and note what may be most challenging in their work with the survivors. It is a chance for staff to speak, express themselves and process. Or a combination of some of these. We have very high rates of hypnotics and anxiolytics due to residents’ night wakings, nightmares and flashbacks and we refer to the Baycrest Triggers Table in order to learn why. Staff learn what must be thought about and avoided in the care of their residents. Thinking outside a task-oriented model is essential for staff to engage in more reflective thinking. We speak of the relationship staff have with their residents being of prime importance. Relationships of residents with staff can help with years of narcissistic wounds suffered in all the years of inhumane treatment. As residents see staff daily, staff often become like family to residents and, hence, if they change shifts or go on leave it is important to tell their residents ahead of time. Residents may fret over staff absence and can trigger anxiety. So many of the survivors’ loved ones or were lost to them. There is much to reflect on. Loss of family of origin. Holocaust Survival, in camps, in hiding on the run and how this manifests in our residents. Each survival comes with a different presentation. Liberation – was not liberation at all, but rather difficult survival again e.g. gaining health, strength, and motivation to begin life anew. DP camps – another camp and endless waiting for the unknown migration to where? Migration – what was this like? Most of our staff have migrated, usually 80% in the group. I ask them to tell us about their migration and what it was like for them. For staff and residents, it may be the first time different nationalities live side by side. Migration was topped off by adding a foreign language and culture, English. Our staff and residents share life experiences and this bonds their relationships. The training then covers child survivors. Though child survivors were recognized in immediate post-war years in Poland and Holland, they then entered a long phase of being forgotten. They were rediscovered in the 1980s by Sarah Moskovitz (1983), Kestenberg (1988) and Kestenberg and Kestenberg (1992). Child survivors are now aged between 70-85. Krell (1985) defined child survivors as any Jewish child who survived Nazi-occupied Europe and who were no older than 16 at the end of the war. They carried extra burdens than adult survivors, being children, having fewer memories and often being forcefully separated from their parents. They show a high degree of resilience, although they had the least psychiatric help. Traumatization for child survivors provides a benchmark for all childhood traumatization. They came from the most fragmented of family constellations. Child survivors are now beginning to enter our Home. Like their parents, children of survivors show symptoms of depression, guilt and separation problems. In Dina Wardi’s “Memorial Candles,” children are likened to memorial candles to those lost – often being named after lost relatives. It is important that staff know this, so they understand the intensity of family experience and a little of how trauma is transmitted. Part of the training is also about my experience of being a child of survivors, including my parents’ history, and how I lived a life governed by the impossible aim of protecting my parents from more pain and loss. Many of us in Australia were brought up without extended families, no grandparents or aunts and uncles. Now may be the first time when we see aging people. The question for my generation becomes how to continue to care for our parents once they are in the Home. Caring then doesn’t cease, tasks just change. Institutionalization interrupts family history again. This can be a fraught time for families. Guilt and anger may surface in the second generation for those who have not thought this process through. Often the staff receive some of the distress of the children and they need to know why. As an only child of survivors, placing my mother in the Home was an extraordinarily difficult journey for me. After the debriefing, our morning at the Museum has concluded and the staff have lunch. After lunch, we resume for an hour of Jewish Religion and Culture – a lighter hour, including the festivals of the Jewish year and the joy associated with some. We may be distressed by the diagnosis of dementia by virtue of the fact that memory is so dominant in our religion and the purpose of festivals is to bring memory to them. After all, who are we with a forgetful, wandering mind? The day ends with a “come back to the Museum free card.” Staff are invited back to the Museum, by the Museum, in their own time, which they appreciate. They complete the evaluation forms, which are actually inspiring to read. This program won two significant government awards. In 2003, we won the Minister’s Award for Excellence in the Aged Care Industry, and, in 2006, we won the Aged Care Standards and Accreditation Agency, Better Practice Award. Since the Program’s inception, over 1,000 staff have attended. We have had extremely positive responses to the training and most staff are very keen on sharing their Museum visit with their residents once they return to the floor. This facilitates greater connection to the survivor residents, as the resident enjoys the fact that staff care and are interested. The training also brings together staff from different departments of the Home, thus enhancing staff relationships. As a Board member, I am very privileged to be able to meet so many staff through the training. Some months after the training, there is a follow-up training at the Home for the staff to review the triggers. I notice ‘mind shifts’ in the staff’s thinking about their residents. The Program has also enabled us to improve relationships with families. For example, children of survivors who are ‘too’ close to their parents may not be able to recognize and connect their parents’ behaviors to triggers and why they manifest. In Australia, we have survivors of trauma from many different nationalities. This Program is a blueprint for approaching many groups of aging survivors. This translates into a proactive approach to the mental health of the aging survivor of different atrocities. For the last 3 years, the Sydney Jewish Museum’s Education Department and I have facilitated a program for Allied Health Departments from hospitals and non-Jewish specific Aged Care Facilities, emanating from the Montefiore program. The program is an extension of the Program for the Montefiore staff. The program is run for half a day and is geared to Allied-health and medical professionals. The Program for this group differs in that there is far more information on more therapeutic approaches to working with survivors. A Poem by Lily Brett to illustarate trauma triggered. The Long Goodbye. Placing one’s parent in the Home. This Program has a more psychological focus and covers more complex issues. We look at what constitutes successful aging, the survivor’s personal resources, resilience issues, continuity versus change in aging and interventions that may empower the aging survivor. One issue that is, perhaps, a little neglected is the relationship between anger and PTSD (does triggering anger trigger PTSD symptoms). (Tony McHugh : Anger in PTSD. A Key But Ignored Predictor, Jerusalem conference 2017).Briefly, we look at guilt and shame always being a part of the reaction to traumatic events. This issue leads to our present day and the current wave of refugees, migrants, and their issues, requiring interventions with important regard for the setting in which one works. Many of today’s “survivors” may have only known a lack of safety and the need process of leaving. Those who left behind people who were in danger may have a harder time with their recovery. The person is left with the question of what happened to the people left behind and what the person failed to do. As with our Holocaust survivors, every act of recognition and dignity assuages shame and guilt. Erik Erickson’s last developmental stage is Ego Integrity versus Despair, in which loss is the main ordeal. Successful adaptation to aging is understood as the capacity to cope with loss. We know aging in itself is traumatic for the survivor. The shift from doing to thinking and from preoccupation with everyday events and long-range planning to reviewing and thinking over one’s life makes older age especially more challenging for survivors. To enable staff at all levels of care to accompany our survivors at this stage of their lives is a valid response, built on our “compassionate responses” to our survivors’ needs”(Elie Wiesel, Night). The Course of Life: Psychoanalytic Contributors Toward Understanding Personality Development. Steinitz LY Ph.D: psychosocial Effects of The Holocaust on Aging Survivors and their Families. Australian Institute for Primary Care and Ageing: Aged Care for older Survivors of Genocide and Mass Trauma. Developing an Aged Care Training Model. November 2010. Memories of The Holocaust: An Essay. Preparing for the Care of The Aging Child Survivor of the Holocaust.